I can't believe it is already December! 2014 has flown by! November was a great month for us. I went to a fun birthday celebration, had lunch at a few new places with great friends and spent the Thanksgiving holiday with my family in Auburn. We also spent 5 nights at my favorite place - Disney World! We got to check out the last two days of the Epcot International Food and Wine Festival and see all the Christmas decorations! I am so excited for all the upcoming holiday festivities! Below I've included one of my favorite new Christmas Cookie recipes, a list of some awesome Christmas Gift Ideas in all price ranges and an iPad Mini2 Giveaway! Keep reading for a chance to win this awesome prize! Christmas is in full swing at our house. I went to a Cookie Swap party in Huntsville this week. It was so much fun! I ate WAY too many delicious cookies. Chicken Legs enjoyed the cookies I brought home too! I brought these Peanut Butter Turtle Cookies. They are so good and super easy to make! Beat butter and peanut butter with an electric mixer on medium speed for 30 seconds. Add 1/2 cup of the flour, the sugars, egg, baking soda, baking powder and vanilla. Beat until thoroughly combined. Beat in remaining flour. Shape dough into 1-inch balls (small scoop) and roll in sugar. Drop each dough ball in mini muffin pan. Bake for 9-10 minutes. Remove from oven and immediately press Rolo into each cookie. Remove cookies from pan and top with chopped pecans. Cool completely. How is everybody coming on their Christmas shopping? I am almost done. Chicken Legs, on the other hand, hasn't even started. 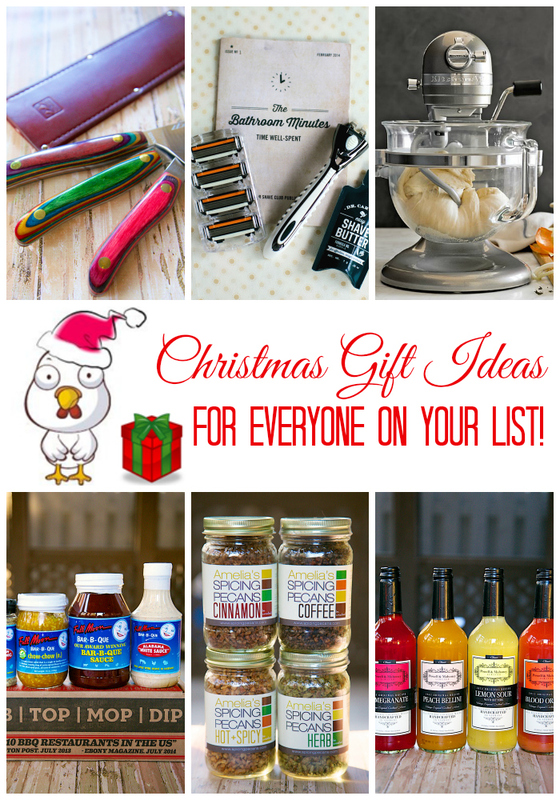 In case you are still looking for some gifts, here are a few of our favorites! Chicken Legs signed up for the Dollar Shave Club and LOVES it! You can get 5 twin blade razor cartridges for only $1/month. Chicken Legs opted for the 4x razor blades. 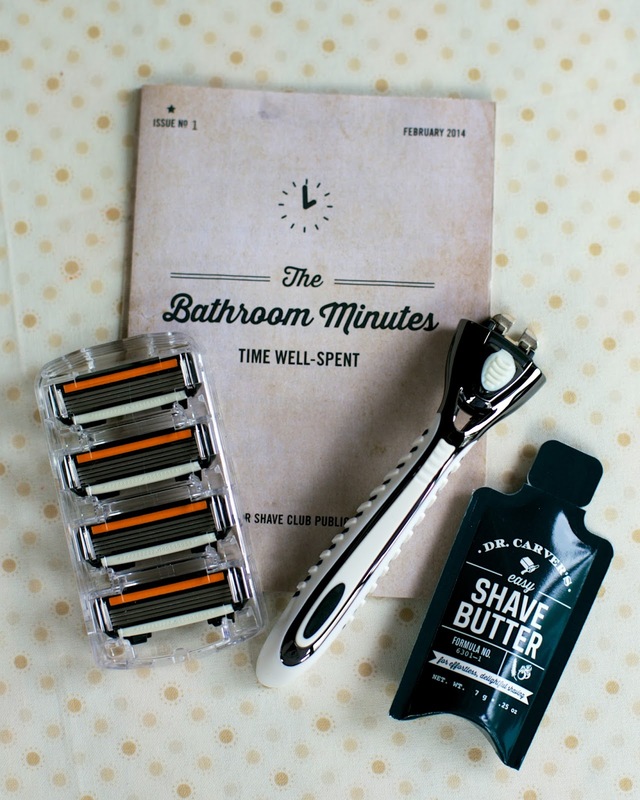 Dollar Shave Club will ship 4 cartridges every month for only $6. This would make a great gift for any man on your list! I would love these fun lenses for my iPhone. I love everything on Photojojo's website, but these lenses have been on my list for years. You can buy one lens or all five! Birmingham's own Full Moon BBQ has been named one of the top BBQ restaurants in the US. I can see why. Their BBQ is delicious! 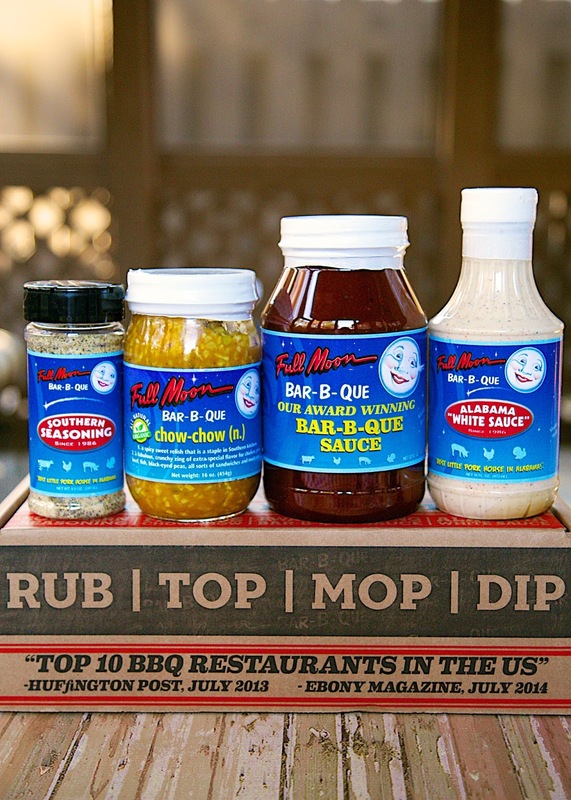 Full Moon BBQ is now shipping their amazing sauces, seasonings and cookies all over the US! I love this Ultimate BBQ Box with the Southern Seasoning, Chow-Chow, BBQ Sauce, and Alabama White Sauce! 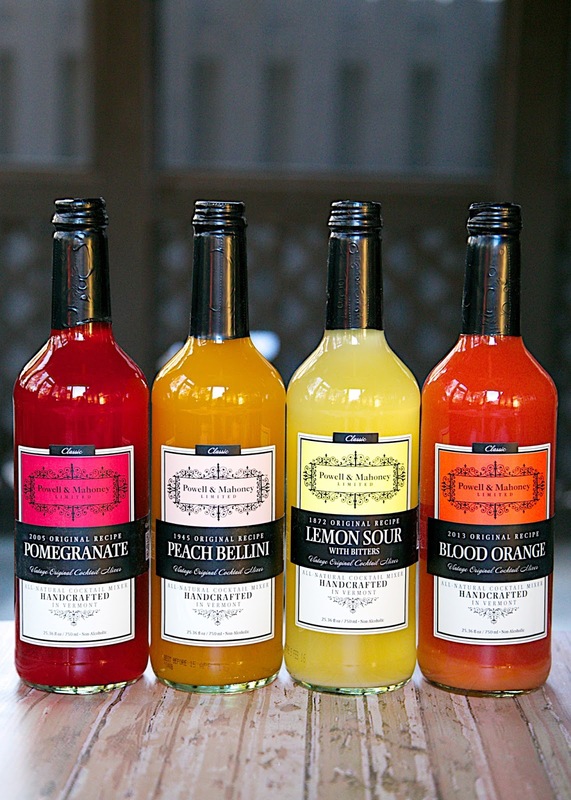 These Powell and Mahoney mixers make a fantastic hostess gift! I'm taking the Peach Bellini mixer down to my parents house for Christmas. We always have mimosas on Christmas morning. I think the Peach Bellini's will be a hit! Heck, all of these mixes would be great with champagne! 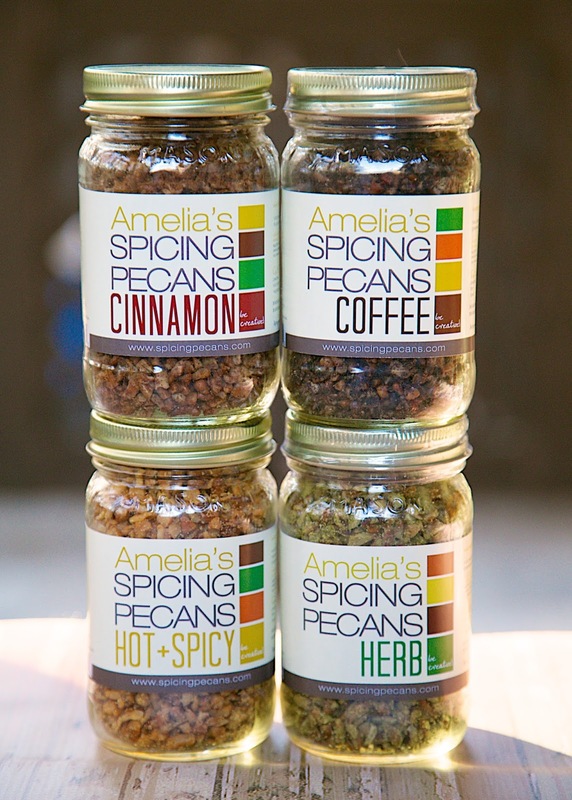 Amelia's Spicing Pecans make a great hostess gift or addition to your holiday table. The Cinnamon and Coffee Pecans would be great in pecan pies for Christmas dessert. I am going to try the Cinnamon Pecans in our Pecan Pie Bubble Up! YUM!! The Cinnamon or Coffee Pecans would also be great in this overnight sticky bun recipe - perfect for Christmas morning! 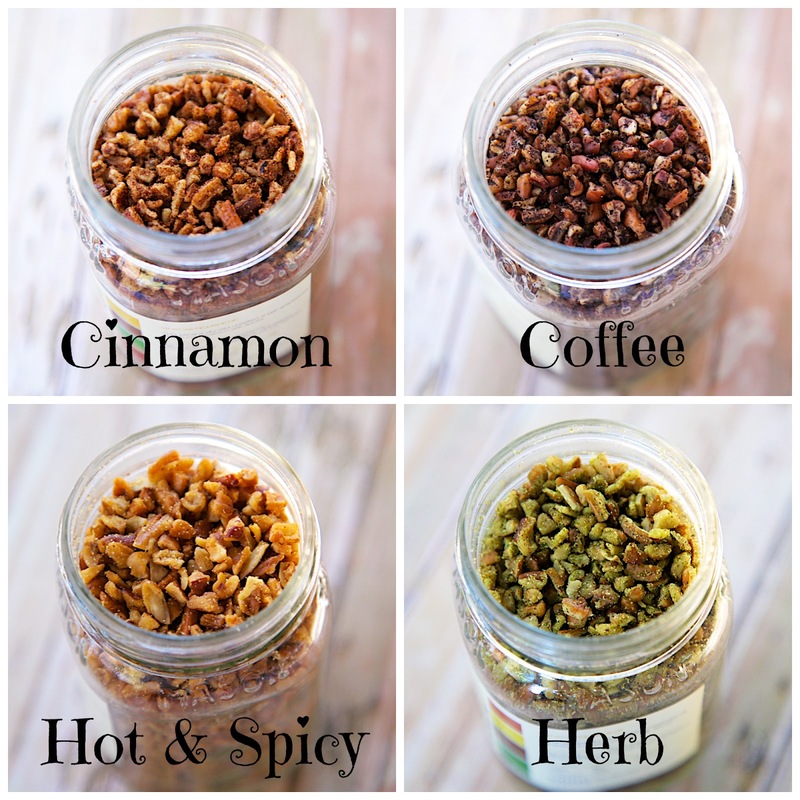 The Hot and Spicy and Herb Pecans would the perfect to coating for a cheese ball. 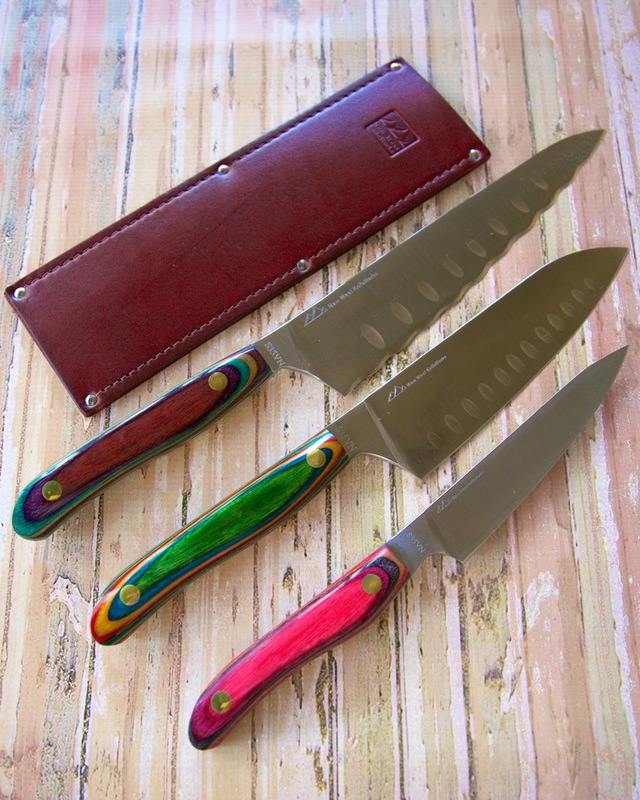 New West Knifeworks are a MUST for the home chef on your list. I have three of them, and I can not say enough about how much I love them. Not only are they the most beautiful knives in my kitchen, they are the best cutting knives I own. I LOVE all the colors to choose from. I use these knives every single day! 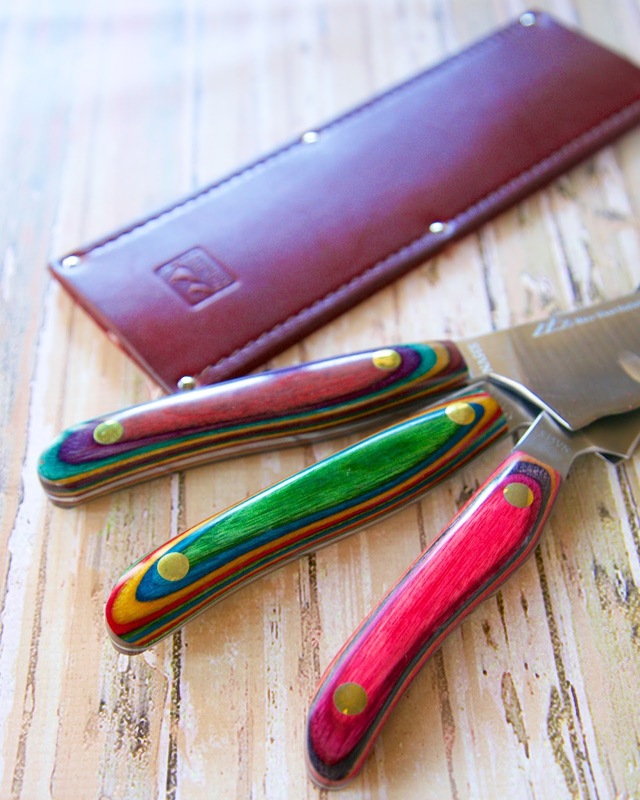 If you only buy one "fancy" knife, make it one of these. 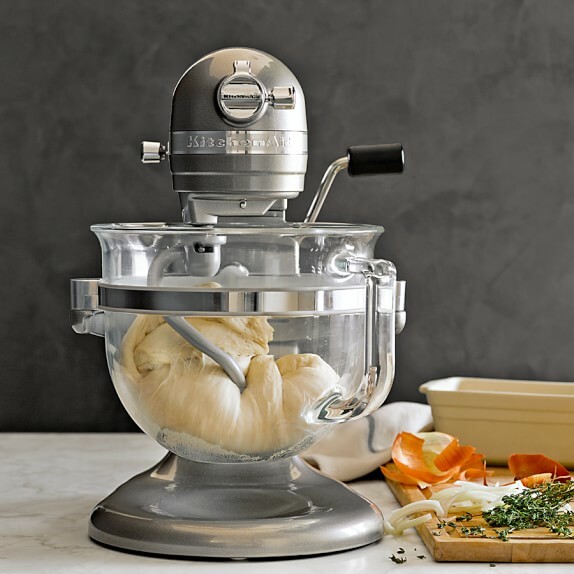 I am DYING over this KitchenAid mixer! Someone call Santa (aka Chicken Legs) and tell him I need this! That glass bowl is so beautiful! I am a huge Apple fangirl. I have an iPad mini 2 and LOVE it. It is great for reading books. I take it on all my trips. It fits in my purse and doesn't weight a ton. I want to give one lucky Plain Chicken reader an iPad mini 2 of their very own! Use the promosimple widget below for a chance to win! 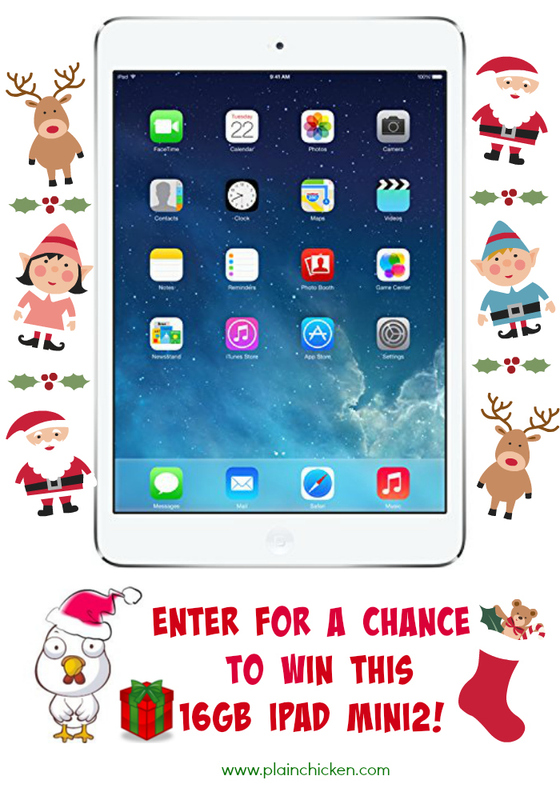 Giveaway ends Sunday, December 15, 2014 @ 11:59 CST. The winner will be notified via email and has 48 hours to respond. If the winner does not respond within 48 hours, a new winner will be selected. It is beginning to look a lot like christmas! I am totally in the spirit and am loving every minute of it! 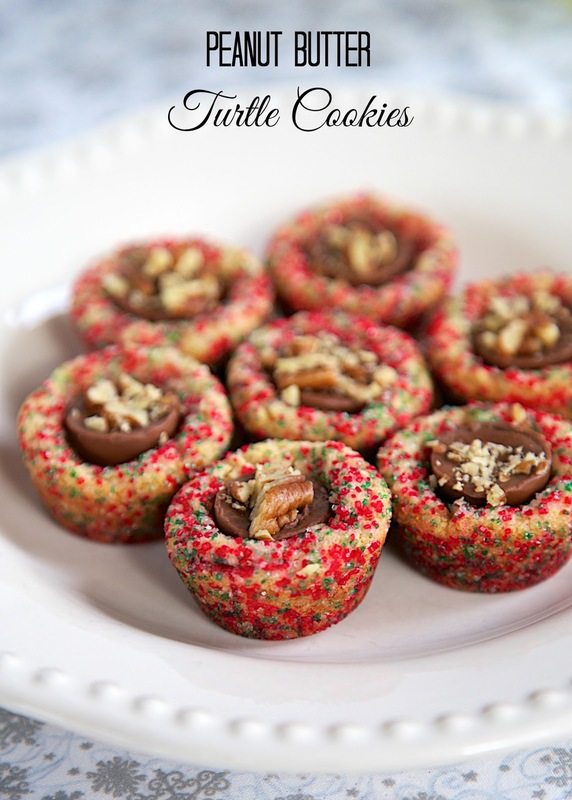 Those Peanut Butter Turtle Cookies look festive, and oh, so yummy. Would love to win the iPad. Actually did win one a few months back in a raffle to help with a friend's adoption expenses, but donated it back so she could raise more money. All for a good cause, they will be bringing their son home soon!